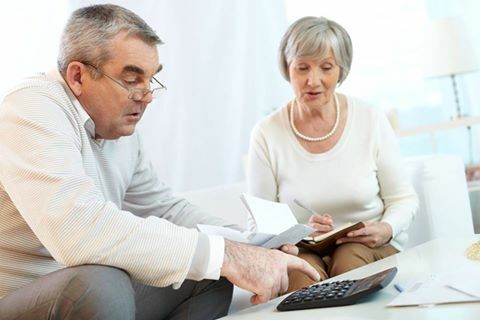 Women Face a Double Financial Burden When They Divorce Later in Life. Recently I read an interesting article by Jeff Landers in forbes.com concerning marriages that end in divorce later in life. Although this article quoted U.S. figures, Canadian stats are likely very similar. Although many believe that 50% of marriages end in divorce, some experts believe that these figures are not quite that drastic. There is one exception to this; Baby Boomers are divorcing in greater numbers than other age groups. This phenomenon of divorce among those over 50 is so commonplace that it actually has its own label – Gray Divorce. It is estimated that rates for this group of people, have actually doubled between 1990 and 2010. 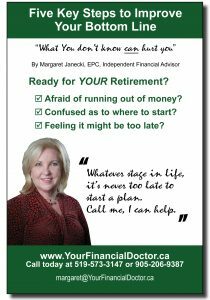 In my next two posts, I will examine how divorcing later in life can affect your overall dreams for a secure retirement. In fact, the impact on women is often far more drastic than for men. If you face this situation, or anticipate you might, it is important to talk with your financial advisor to plot a clear plan to ensure a brighter financial future. Call me today…. I can help. ← Recent Events and Fascinating People!